Sigma Imaging, already one of our favourite lens makers, has announced upgrades and new functions for their entire system which will transform the way it works with all the major camera systems. The new DC 17-70mm f/2.8-4 – DC (APS-C format) lenses have never been given the EX designation, even when they clearly matched the EX specifications. Now the EX name and its exterior finish are both going, replaced by one standard for all formats, and one finish. 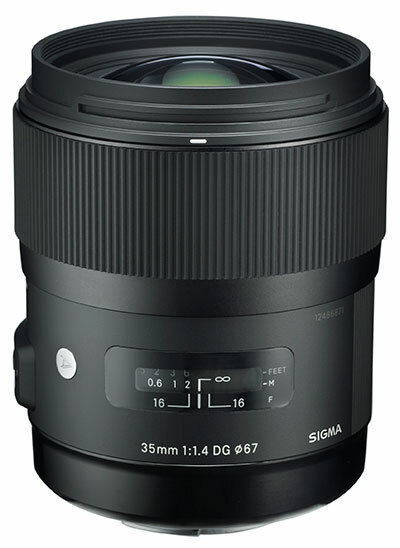 The entire Sigma range is being restyled, with a new finish, and the old distinctions between EX DG and other lens ‘grades’ are disappearing. 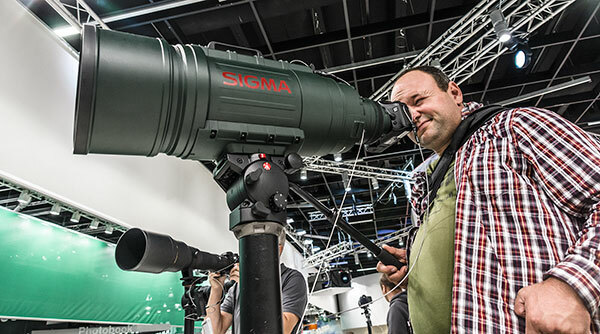 “All our lenses have become what we once called EX”, said Graham Armitage of Sigma UK, at photokina. “The demands made by digital systems with higher resolutions mean we have to produce perfect lenses for all the formats from MicroFourThirds to APS-C and full frame. “Our greatest breakthrough is in MTF testing. We have designed new MTF equipment, which will be used on the production of new lenses from now on. The MTF testing system we use for development is too slow to be used in production, and we have had our own Bayer sensor based system for this purpose. But it was not proving high enough resolution for new camera sensors like the D800. We asked Graham if this would only apply to expensive professional teles, zooms and specialist lenses. “No, it will apply to all lens types”, he said. “We have been able to use the data from the Foveon sensor based tests to improve the performance of all our lenses.” Because the sensor is true RGB not Bayer much better information about chromatic aberration has been gathered and Sigma is feeding this back into the design and manufacture process. The new lenses have a robust feel, with machined metal barrel and mount components (a current trend for many lens makers) and a slightly soft-looking matt or silk finish. All Sigma lenses are assembled by hand, in Japan, using traditional construction methods. But the most exceptional advance has been made inside the new lenses – sadly, it can’t be retro fitted to older ones. The USB ‘dock in a cap’ has an LED activity indicator and we handled the real thing. This photo looks a bit over-retouched. 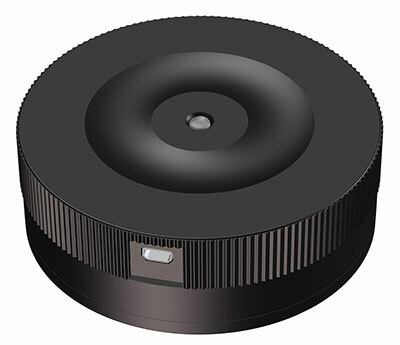 All new Sigma lenses will be compatible with a USB-connected dock allowing firmware updates to be made by the user. 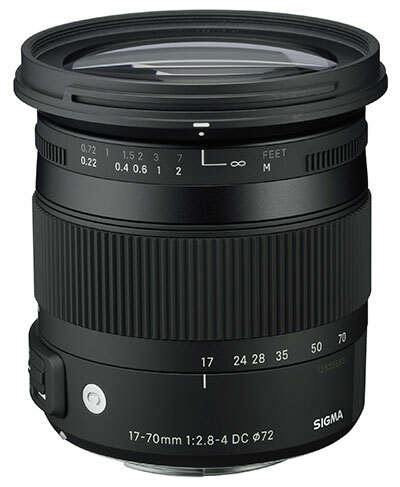 Sigma has honoured its relationship with users for decades by upgrading the chips inside lenses free of charge whenever the protocols used by camera makers created an incompatibility. Now they have developed a way in which users can do this themselves without the lens having to be returned or ‘operated on’ in a workshop. “The USB dock will cost about the same as a filter”, Graham told us. I suggested this could mean £50. He indicated I was on the high side. This dock device, which resembles a thick rear lens cap, might be £30 or so. “It does more than just upgrade the chip”, he continued. “With a PC program, you will be able to change the focusing speed of the lens. All AF systems are a compromise, a balance between speed and accuracy. You will be able to set the lens to suit your working style, increasing the focus speed if you shoot action or improving accuracy if you take subjects like landscapes and portraits. “All DSLRs have problems with front and back focus. Some cameras offer AF calibration, but not all allow you to have different corrections for each focal length of the zoom lens and for different focusing distances. Using our program, you will be able to calibrate new Sigma lenses for the full range of settings so you don’t get front or back focus at any distance or focal length. The new-style 120-300mm f/2.8 – one of the first lenses compatible with the USB programming system, allowing perfect tuning of front and back focus corrections across the zoom and focus distance range. This function sounds familiar, indeed it’s almost what the new Sony Alpha 99 offers with a restricted range of Sony lenses – on-camera setting of focus range limits. The difference with the Sigma option is that future lenses with a range setting switch can each have their individual far, middle and near limits set and there will be no need to go into camera menus to change the setting when shooting. Along with Sigma’s recently introduction of nano-type hard coatings which resist water and dirt, their improvements in environmental and dust sealing of lenses, we look forward to testing Sigma products in future and finding them close to the blueprint for the optical design. These innovations draw a line between existing generations of Sigma lenses and the future, as they can’t be fitted to older models. They also take Sigma yet one more step ahead of the camera makers’ own aspirations. 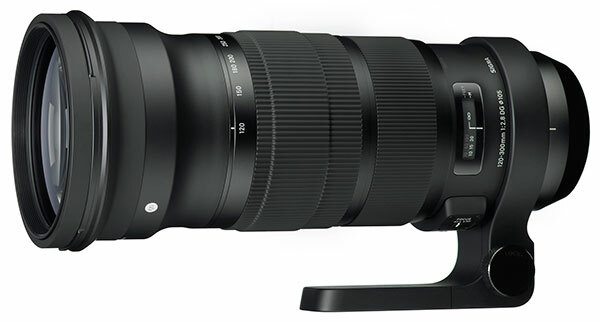 Sigma has always shown the industry what can be done in terms of advanced optical design – often unmatched for many years, with such specifications as the 8-16mm and 12-24mm zooms, the 300mm-800mm and many others remaining unchallenged even by Nikon and Canon. Now they have set out to show what can be done by harnessing a simple standard interface and allowing communication to the lens IC through the contact-pin array. And then there’s the obligatory picture from any trade show – the man who can’t resist trying to find out what the butler saw, courtesy of the Sigmonster! This post has been edited with Sigma’s help on October 3rd. The original reference to Zeiss MTF equipment was incorrect; this is used in design and prototype development, and will continue to be used. Sigma’s own production-line testing system is what’s been updated with new high speed Foveon-based MTF bench.